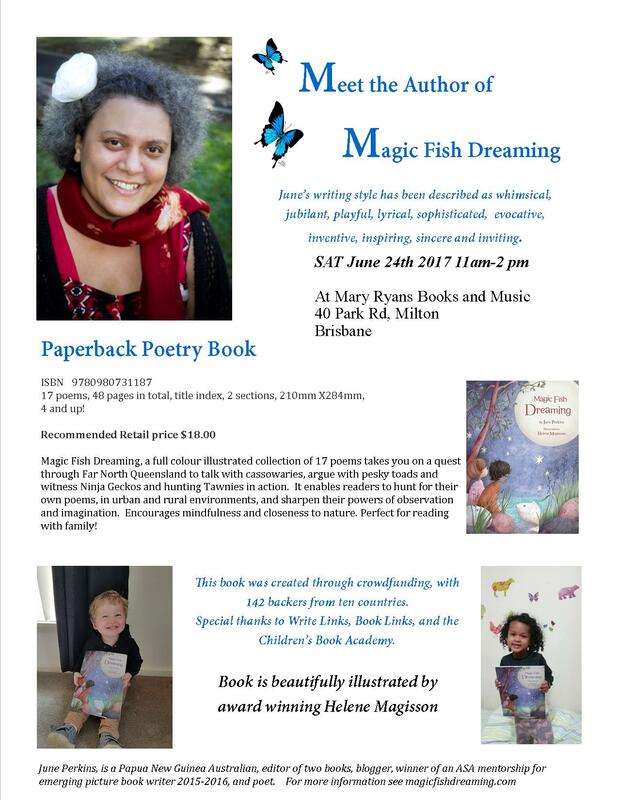 Mary Ryans Milton – June Bookshop Visit! Delighted to say our Library Workshops, for Ashgrove and Kenmore are full! But this Saturday why not meet author June Perkins and find out about this beautiful book. Sorry, June, I’m not available for Saturday, but I hope you have a wonderful time.